Summary: AU: Pre-series: Winchesters were called for a hunt at Sioux Falls when multiple demon attacks have happened and some of the attacks, are similar to Mary’s death. 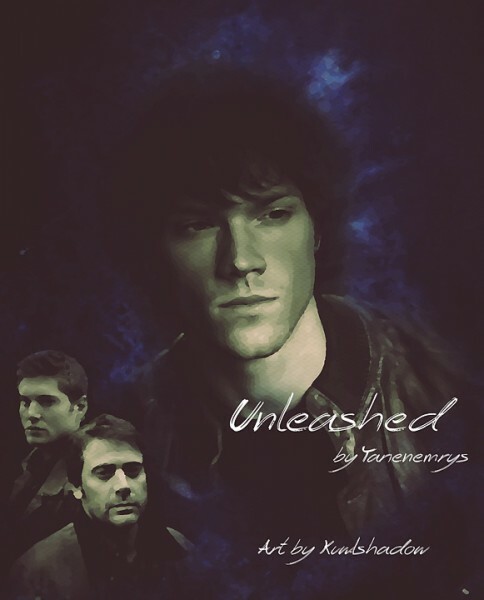 What they didn’t realize that it was a trap for a certain Winchester and Azazel was looking for his prize. Artist Notes: This is my second story I illustrated for the sammybigbang. I illustrated for the story by tarienemyrs, which I was really excited to do. I decided for her story to do a photo manip / collage and feel it worked well for her story. I hope you take a moment to read her it. I would like to thank the mods for hosting the Sam Winchester Big Bang and giving us this wonderful opportunity. LOVE THE BANNER! Thank you so much for the gorgeous banner you made. Also thank you very much for all the patient you had me , for being so understanding and pretty much up-lifting me during a bad time period! You rock! Thank you so much. :) I know you were very busy. Glad you love the banner. Good luck with school! This is so pretty! I really love the colours and paint effect you've used, and the composition is lovely. Gorgeous banner! I love the paint effect you've used, and I love the how the Winchesters are surrounded by darkness, and that blue tinge of superpowers aura!